The client’s ambition was to leverage their Garden Club loyalty programme in order to increase average spend, encourage repeat purchases and improve loyalty, all with a target ROI of 100% in the first year. Despite having over three million members, Wyevale Garden Centres felt their loyalty scheme was not being used to unlock value or insight. First, we established segmentation to create tailored and relevant customer propositions. We then implemented a survey, to gain deeper insight on what inspires the nation’s gardeners. 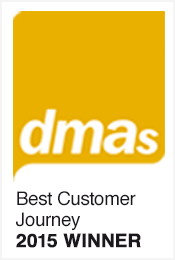 Finally, we defined individual customer journey frameworks to ensure that every customer received a unique and compelling experience. Born from insights that members wanted to be inspired and not just sold to, our approach was to bring back the joy of gardening back to the UK. We launched ‘The Great British Garden Survey’ – an incentivised national questionnaire. As well as giving Wyevale a great platform for PR, it gave us the invaluable opportunity to understand the motivations of their membership. The results revealed the habits and motivations of the nation’s gardeners, what inspires them and at an individual level, their future garden projects. All of which would be channelled into improving the targeting, content and effectiveness of communications. We re-launched The Garden Club loyalty scheme, and driven by insights from the survey, communicated exactly what members loved about their gardens – across all touchpoints. This insight and content gathered from over 80,000 members who filled in the survey was then seeded throughout the customer journey, identifying three distinct phases. Welcome – With a limited welcome plan, we implemented a new welcome process for new members to fully introduce the benefits the scheme. This welcome journey creatively introduced all the clubs considerable benefits and incentivised future visits and card usage. However, the programme also included content inspired by the survey, that embodied the proposition of ‘more to love’ ensuring new members were engaged with the proposition for the scheme. Nurture – We introduced a monthly communications platform providing tailored advice and tips to our members, recognising that members did not just want to be sold to, but inspired. This new e-newsletter programme provided a regular vehicle to educate and enthuse our members. Grow – Designed to drive sales, we moved from a single offer approach for all customers, to a solution with tailored promotions aligned to specific segments, based on their propensity to purchase. With our DM segmentation used in one of our mailings, our ‘Leisure and Discovery’ segments saw an uplift of 7.2% from the segment specific creative versus standard creative. From this we have begun to look at deeper segmentation, making content more relevant to the member and in turn increasing profit. In addition, our overall spring campaign exceeded the incremental sales target by 295% directly from DM – a record number. This resulted in a staggering ROI of 597%. Total net sales of contacted customers increased by 13% and have had an ROI of 209%. The Great British Garden Survey, which was an involved questionnaire, provided a huge amount of quantitative and qualitative data. It received over 80,000 responses – making it the nation’s largest garden survey. The survey received 4,000 new members to bring into the scheme. Additionally the survey provided 40,000 member garden tips – an invaluable content resource. With the welcome programme, we have seen over 32,000 new customers taken through the welcome programme, with email open rates of over 38% and a 50% increase in repeat visitor rate. In addition, we have witnessed over £22 of additional sales generated per year through email for each of the 980k customers within our eCRM programme. This has been driven through the introduction of an email welcome programme, inspirational emails and regular personalised sales-driven emails.